This produces around 2000 bottles a day an unbelievable 720,000 water bottles in one resort!! If you drive on the coastal road of the Red Sea, you will see the degradation of this beautiful environment! Unfortunately, the detrimental consequences of this practice are that now the desert is choked with plastic garbage. To date the HEPCA Solid Waste Recycling Facility in Marsa Alam recycles almost 259,000 plastic bottles and parts each month saving enough energy to power a 60-watt light bulb for 89.9 years (HEPCA 2009). 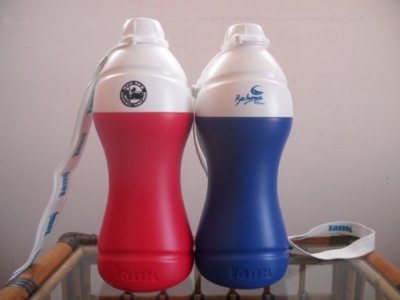 This is why from October 2010 onwards, we are giving a personal 750ml (0.75ltr) water bottle with sport-lid (cover) to each guest The water bottle can be refilled at anyone of the many water dispenser stations around the villages. Help us to make this project a success and use this offer to protect the Red Sea!